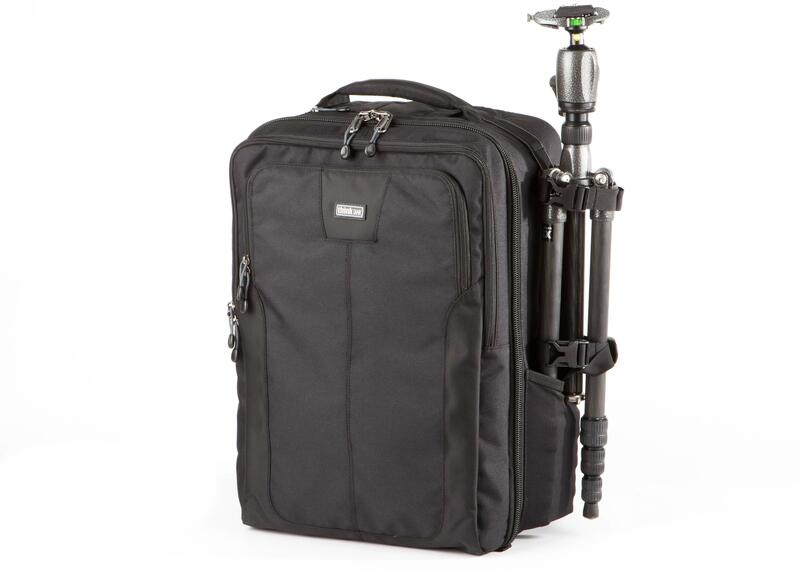 Airport Commuter is a high capacity, carry-on*** size backpack which meets all USA and international size requirements. 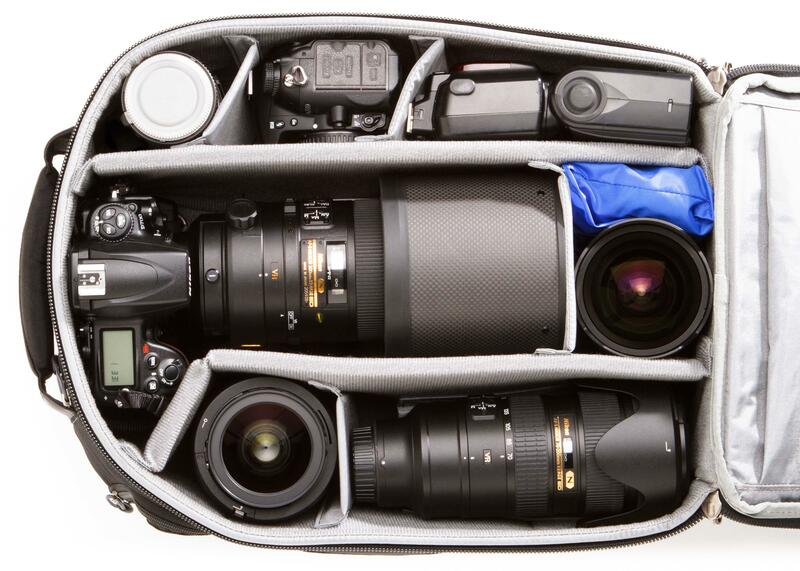 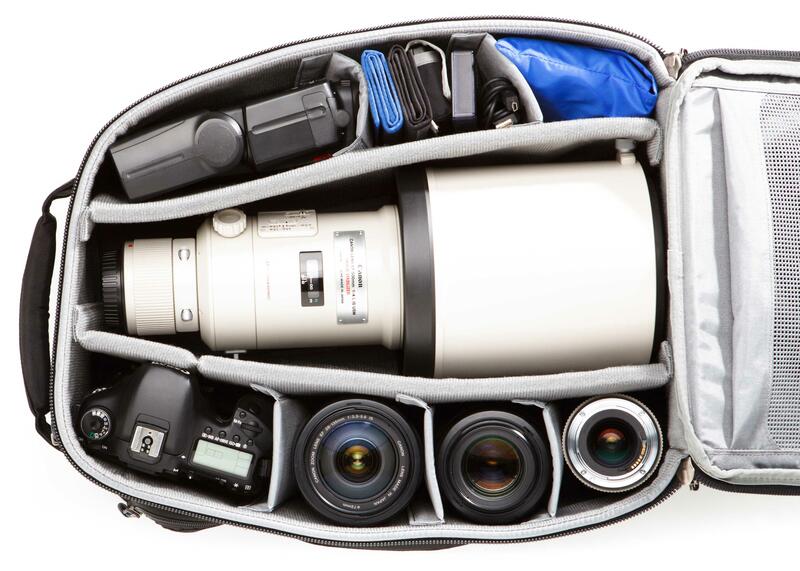 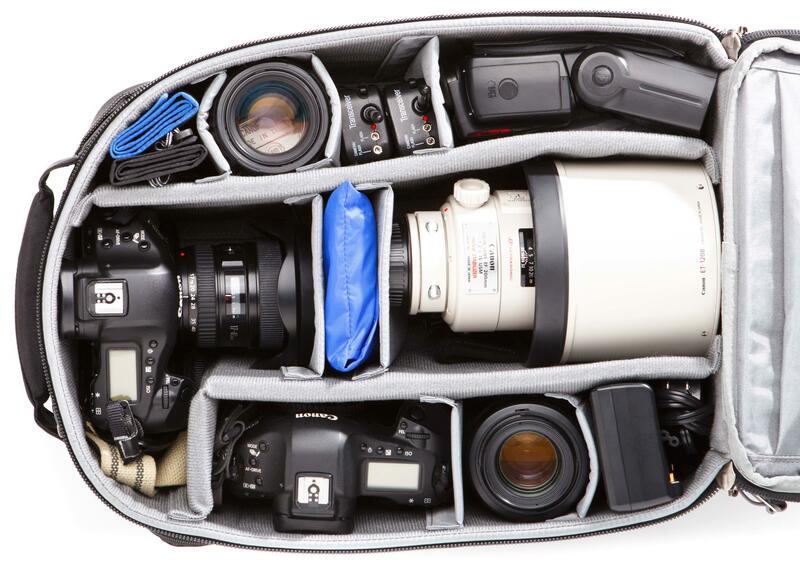 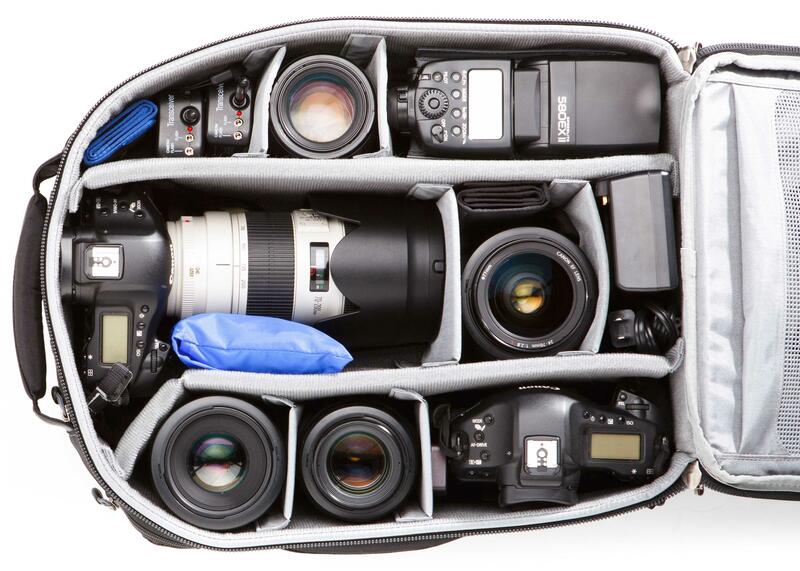 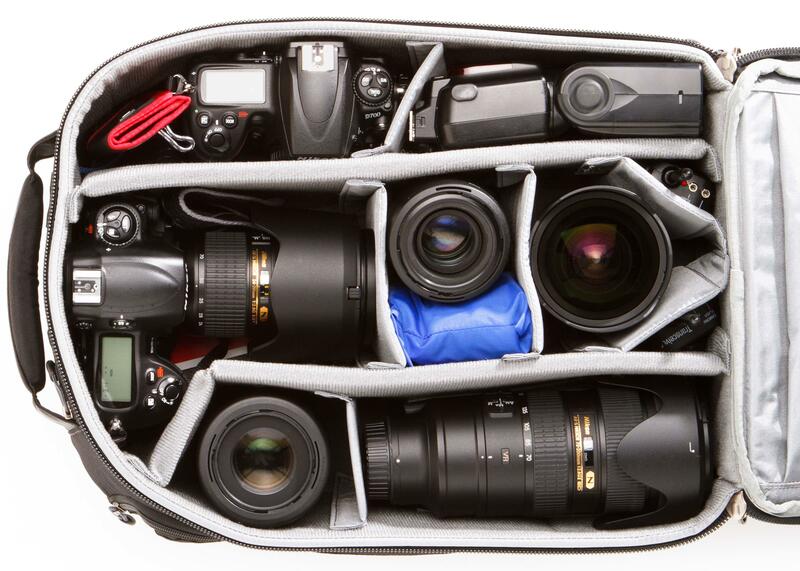 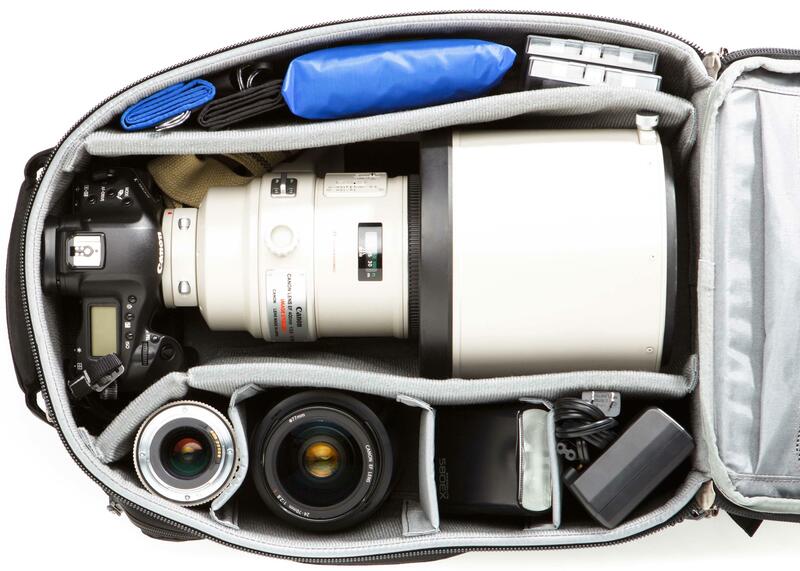 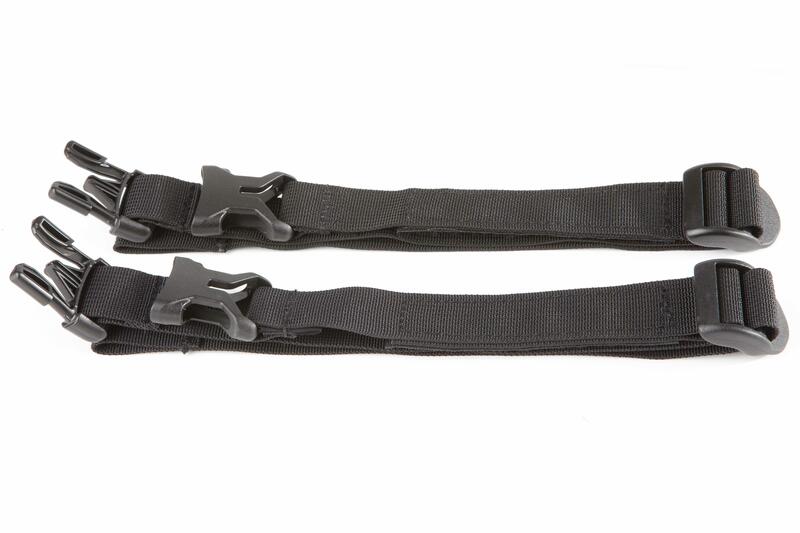 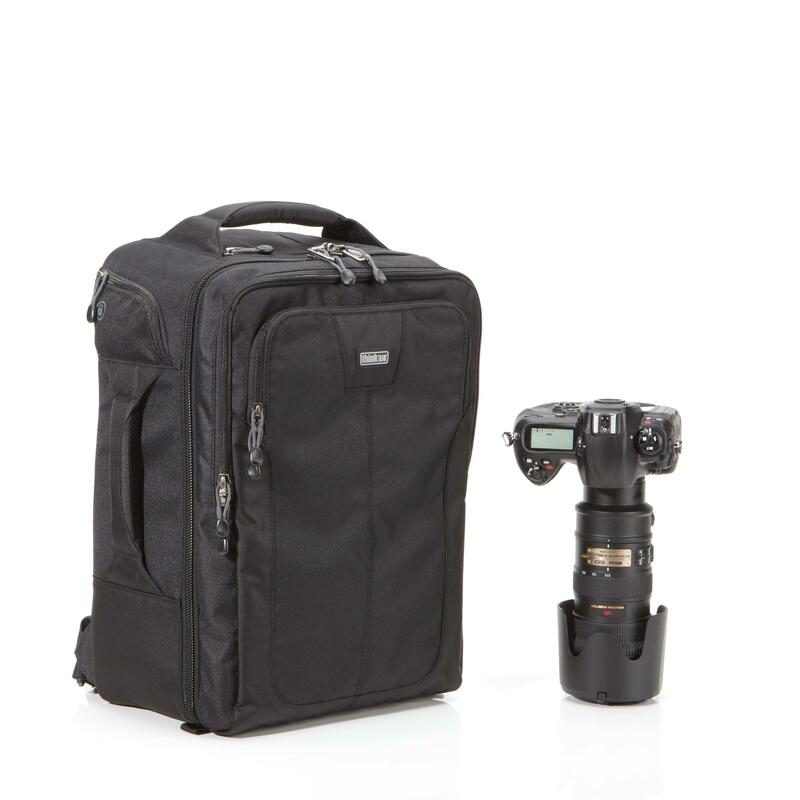 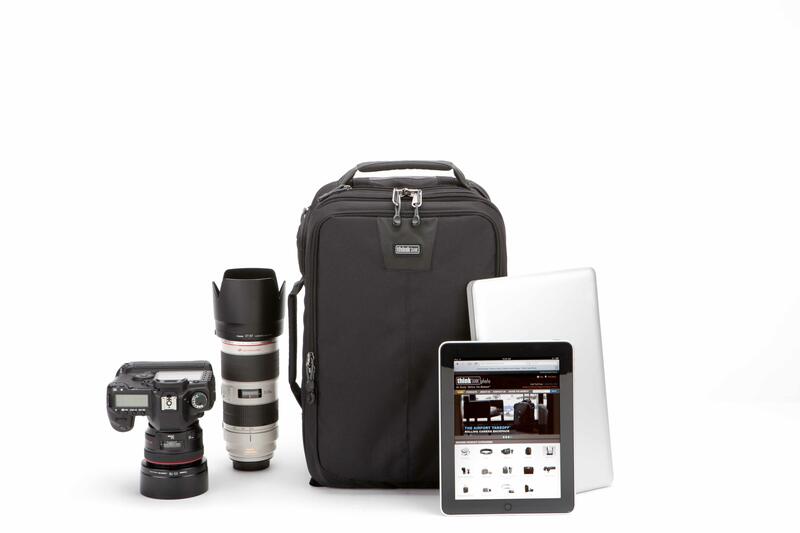 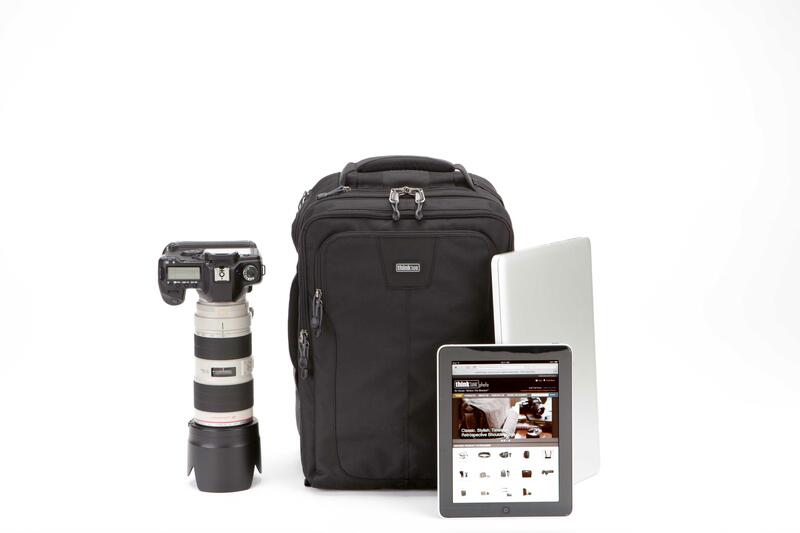 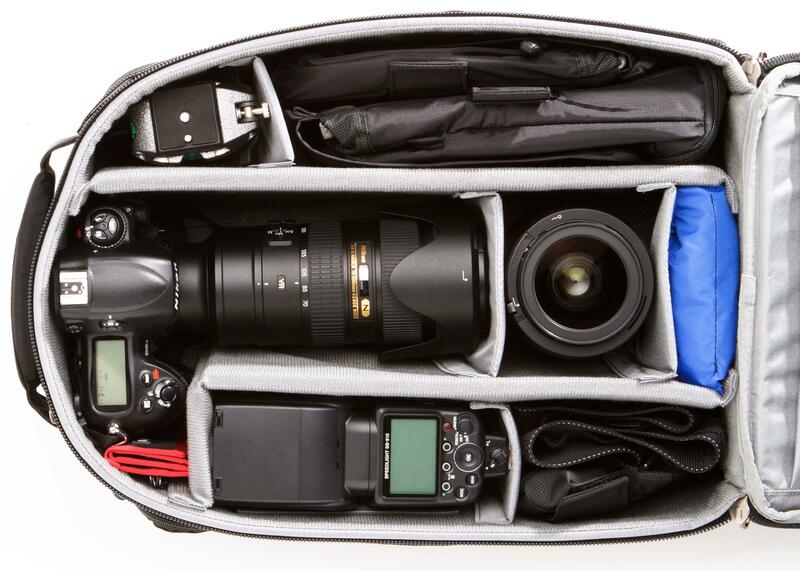 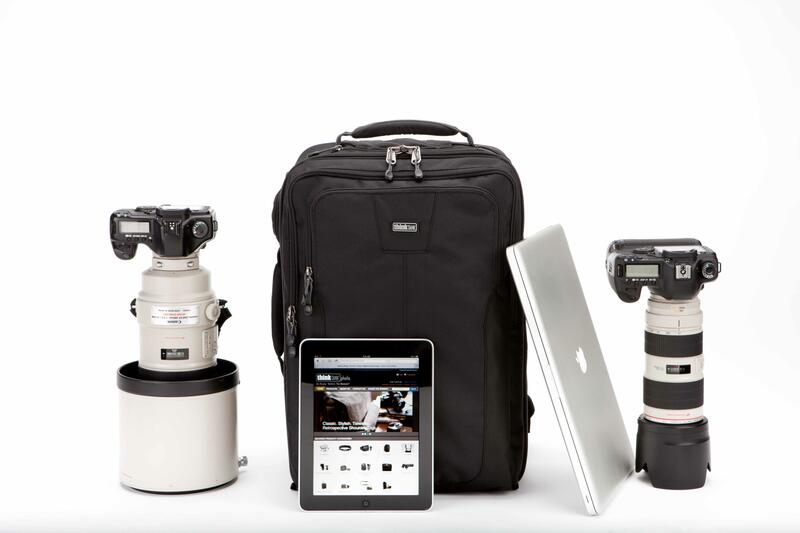 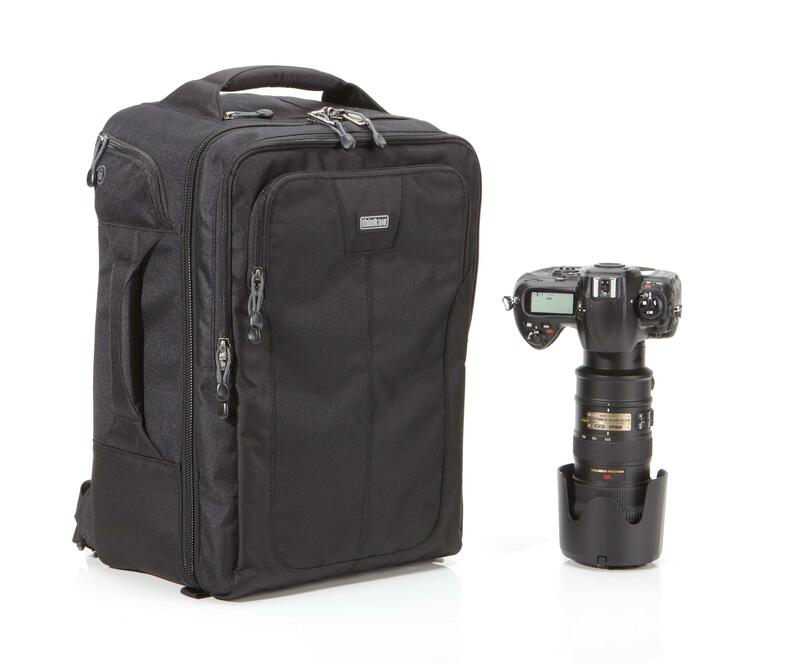 It accommodates a pro size DSLR’s, 4-6 standard zooms plus an iPad and up to a 15” laptop. 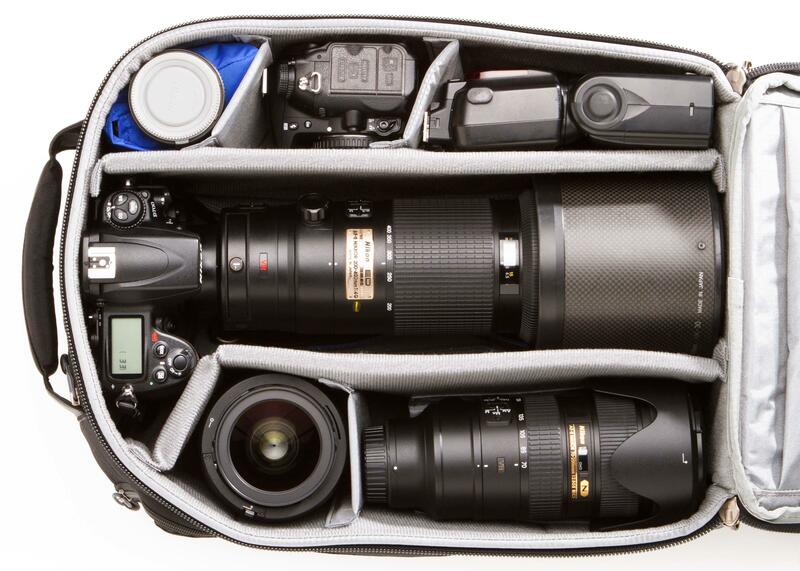 For the big glass enthusiasts, it will accommodate a 400 f2.8 with body attached OR a 500 f4 unattached. 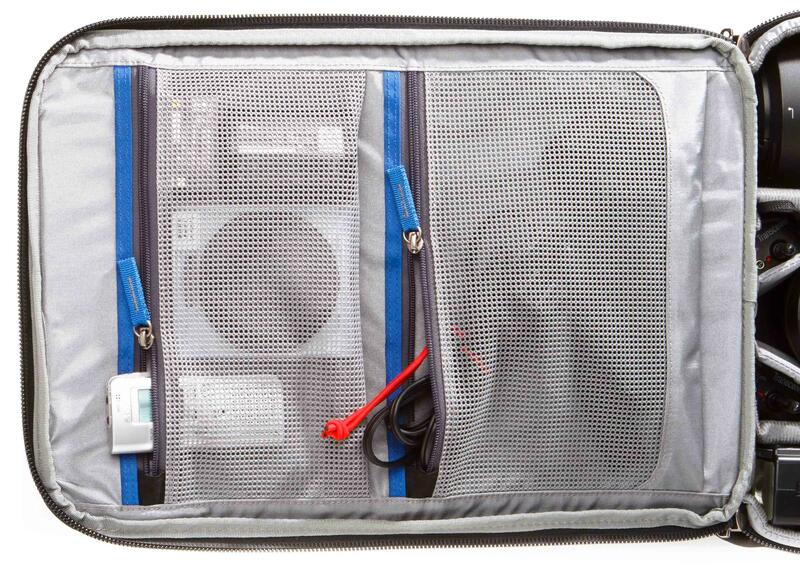 Featuring integrated, quick access pockets for both laptops and iPad, top pocket for boarding passes and three robust handles ensure easy placement/retrieval from overhead bins. 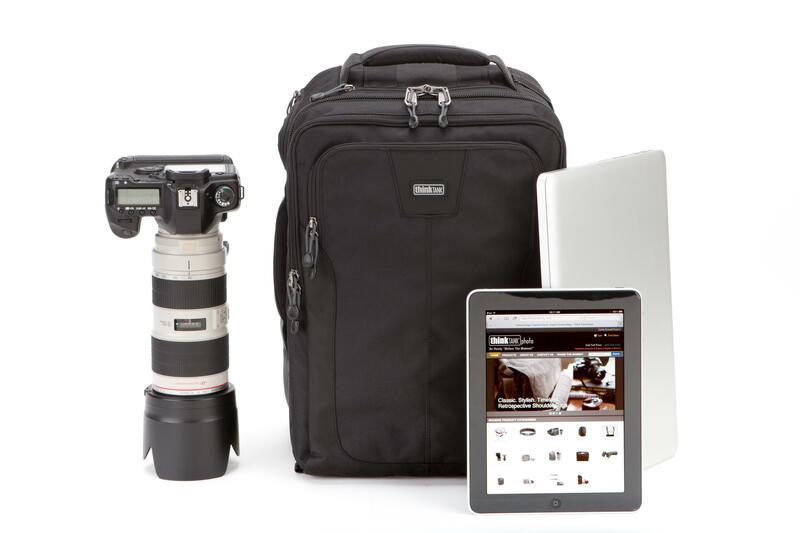 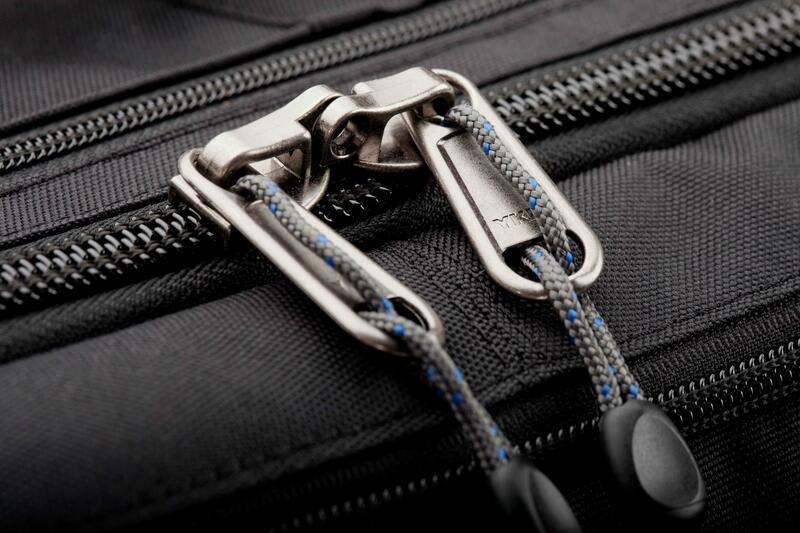 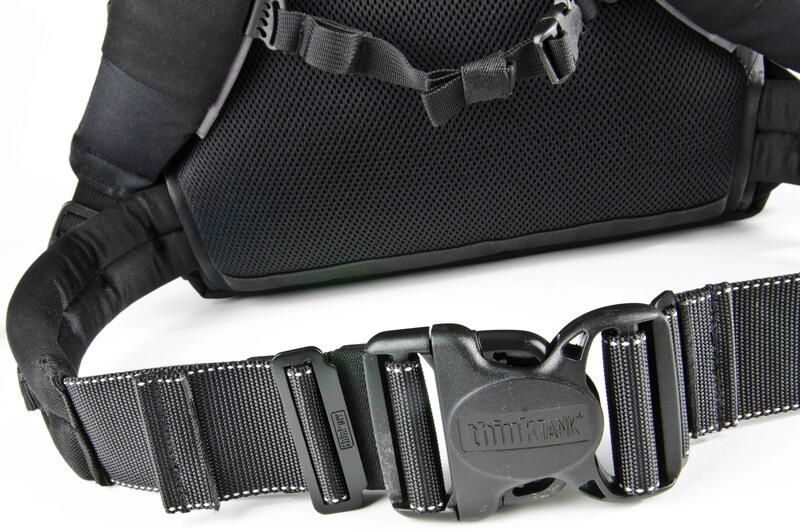 The Airport Commuter™ makes life easier for the traveling photographer. 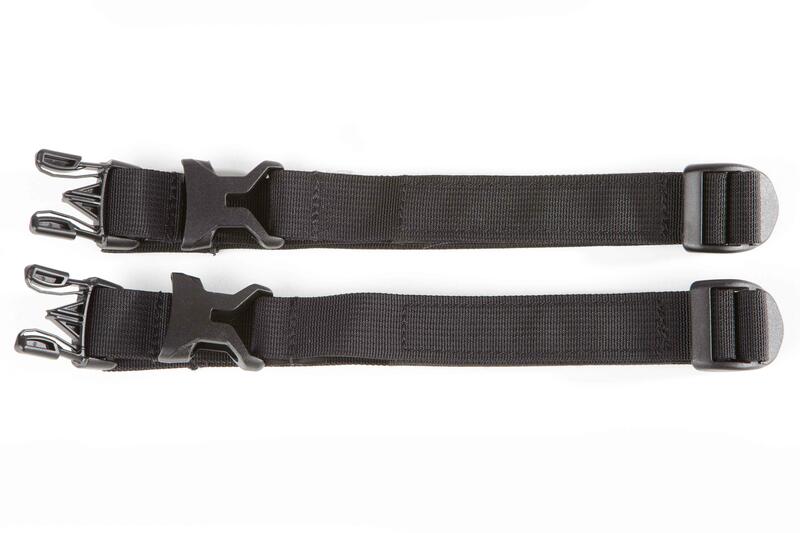 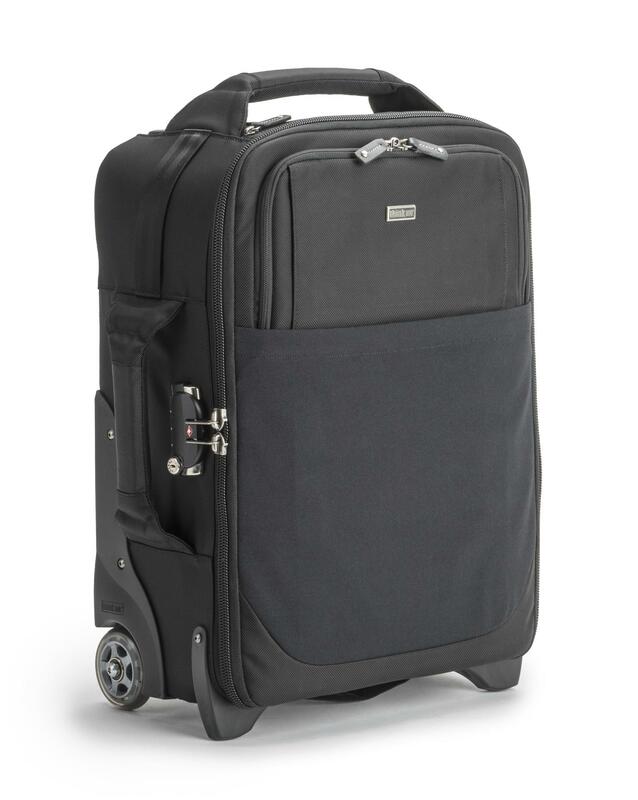 It is designed to meet international carry-on size*** requirements and fit in most overhead bins.